Many patients seek our care for mid-back pain and stiffness. The thoracic spine is commonly immobile as a consequence of our daily lives and poor postural habits. 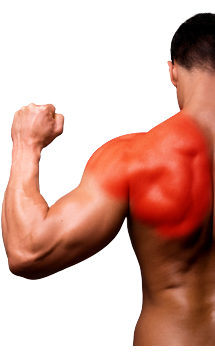 This can result in tight painful muscles as the muscles in this area are overworked in an attempt to create movement. The result is mid back pain, immobility, stiffness or a restriction of movement in the mid back and rib cage. Chiropractic treatment techniques aim to reduce muscular tension, promote movement and hence alleviate mid back pain. This area commonly requires lifestyle changes and an exercise program including stretching and strengthening muscles. It is estimated that 70–90% of people will suffer from lower back pain in some form at some point in their lives. Common causes of lower back pain include poor core strength, decreased lumbar and pelvic mobility due to lifestyle factors e.g increased sitting time, muscle imbalances and trauma e.g sporting injuries and slips/falls. Irvine Chiropractic takes a wholistic approach to treating both the cause and the symptoms of lower back pain. Once a definitive diagnosis is made we can apply the correct therapy to ensure a speedy recovery and prevent reoccurrence. 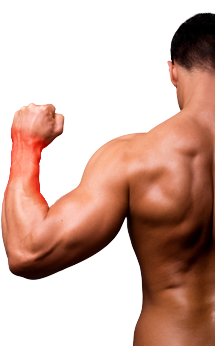 Shoulder pain is a common presentation in our clinic. Treating shoulder pain requires an in depth understanding of shoulder anatomy, biomechanics, compensatory movement patterns and rehabilitative exercises. Alterations to ideal movement patterns can lead to degenerative changes in the shoulder resulting in tendinopathies, bursitis, muscle tears and pain. At Irvine Chiropractic, after we reach a diagnosis we will assess the movement of all of the joints in the shoulder and begin treatment. 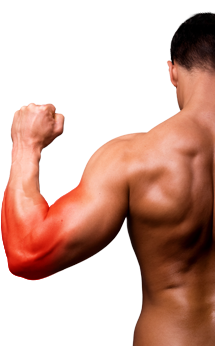 A shoulder will always require some form of muscular retraining and we will guide you along the way. Elbow pain is most often related to an overload of the tissues at the elbow and most commonly includes the large tendons that attach the flexor and extensor muscles of the wrist. This is usually as a result of poor biomechanics at the shoulder and or wrist. At Irvine Chiropractic we assess and treat all joints to ensure proper movement and function above and below the elbow. We utilize soft tissue release techniques along with joint manipulation and exercises to reduce tendon irritation and improve pain levels. The wrist is a complicated area and is often injured due to overload from the elbow and shoulder. Nerves that arise from our neck supply the muscles and skin around the wrist so we will always assess this area as part of a thorough examination. Joint restrictions anywhere within the thoracic/cervical spine, or the arm can lead to muscular and/or nerve tension. Referred or radicular pain from the cervical spine and nerves. Like the shoulder joint the hip is a complex joint. Pain and dysfunction arising in the hip can cause issues throughout the lower back, knee and ankle. As there are many muscles that cross the hip joint, assessment of this area will include thorough muscle testing to determine which muscles may not be functioning well. We will pay particular attention to the muscles that stabilise the hip and pelvis as any instability may lead to unbalanced loading and possible injury. Treatment of this area will include soft tissue and joint mobilisations as well as some stretching and strengthening techniques to ensure ongoing stability and reduce re-injury. Pain in the knee is often a result of injuries or dysfunction in the hip or ankle. This makes the knee the area most likely to be injured when there is any imbalance throughout the lower limb. The knee has many structures within it which may be injured and it relies heavily on the surrounding muscles for its strength. Tissues that can be injured in the knee joint include the meniscus, ligaments, tendons and bursa and pain can present suddenly or slowly. The ankle and foot consist of 26 bones and 33 joints. This complex anatomy requires many strong muscles, ligaments and tendons to move and stabilise. Acute injuries to the ankle can result in ligamentous injury, whilst chronic overuse injuries include various tendinopathies such as achilles and tibialis posterior. Irvine Chiropractic will assess your ankle stability and any muscular imbalances that result in these overuse injuries, while acute injuries are treated with active treatment modalities aimed at reducing inflammation, pain and improving pain free motion. 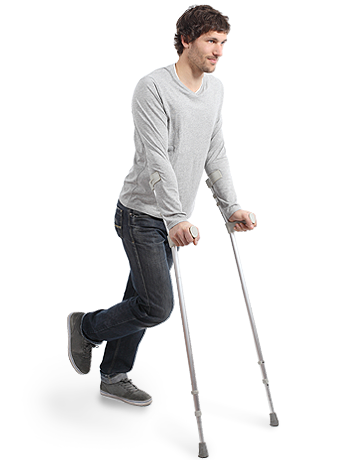 The purpose of pre & post-surgical rehabilitation is to provide a rapid recovery utilizing the best possible techniques both before and after surgery. Your practitioner will maintain close communication with the physician in order to fully understand what procedure you are undergoing and to prepare your individual treatment plan. At Irvine Chiropractic our practitioners are fully trained in the techniques necessary to prepare the body for an array of surgeries including those for the knee, ankle and shoulder. If you are going to take the time to get a surgical procedure done it only makes sense to choose wisely regarding your rehabilitation. At Irvine Chiropractic we utilize the most up to date techniques to ensure your recovery stays on track. Dr Daniel Irvine has a background in elite sport and as a former Professional National Rugby League player, knows first-hand the value of chiropractic care in treating sports injuries and maintaining peak physical condition. Dr Daniel's mission is to provide personalised, quality chiropractic care with an emphasis on preventive measures, striving to give his patients more fulfilled and enjoyable lives, while promoting a healthy lifestyle. Read Dr Daniel's full Bio here.